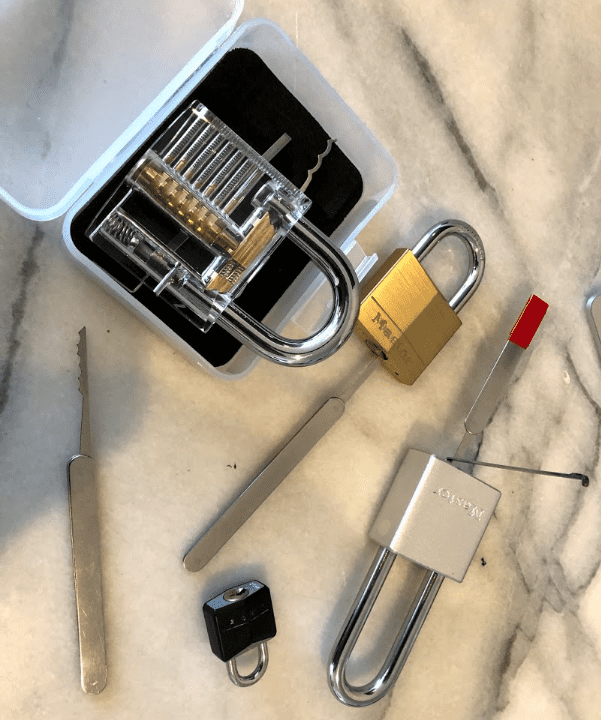 I recently purchased a lock that is considered to be pretty hard because of the addition of two spool pins and one serrated pin. These pins are intended to mess up your feedback as you pick. Feedback is the name of the game when picking. I have gotten to where I can pick this lock on one of every 10 tries. But the feeling of progressive accomplishment for that success wasn’t very strong. I couldn’t tell you exactly how I had been successfully picking it. I had subconsciously figured out a technique that worked sometimes but there was no way I could describe it clearly. So I didn’t know the “Why?” Which made me feel like if the technique stopped working I wouldn’t know how to fix it. At dinner I said “Beth, I can pick that new lock but I can’t tell you why I can pick it. It’s really frustrating.” She said, “Maybe you should just go with the flow.” I didn’t like that answer. Go with the flow?, Progress without knowing why? Nope not ok. But since then I haven’t progressed because I keep on stopping to study what I am doing. If I do just keep picking it, it does seem that I can get better at it. What to do? Continue to advance but feel uneasy about it or stop progressing for now and figure out what the last thing I did is that advanced my technique? I don’t have an answer and I am sure it is somewhere in the middle. Maybe there is a way to know when to say “The hell with it just keep going.” and when to say “Wait let’s slow down and figure out the details of how this works.” An actual quantitative “Risk and Reward” analysis. Would the result be a scale with one end being, ‘Don’t ask questions, just keep picking that thing so we can get in and defuse the bomb!” and the other being “We need to document a procedure on how to do this task so we can teach others and spread the benefit of this technique around the world.” Maybe it’s worth thinking about a way to do this with product design. 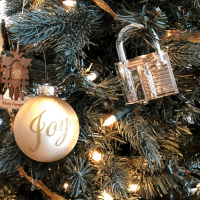 No that’s not really a Christmas ornament, I just put my clear lock on the tree for the picture. This also made me the first person to break a bulb this year because it was so heavy and it hit another branch. I chuckle a little every time I think that lock pickers call their hobby “Lock Sport.” These are geeks sitting alone playing a puzzle making it sound like some kind of ultra cool martial arts. How lock picking works. 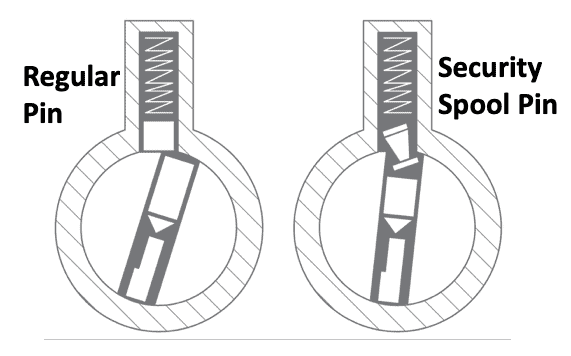 A lock is almost unpickable based on a mechanical drawing of one. 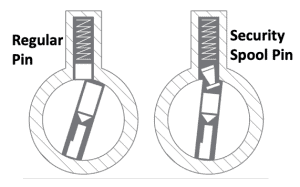 The lock picker is taking advantage of part tolerances that make it so only one pin is resisting rotation of the tumbler at any given moment. So even two of the same model of lock are each a unique puzzle. It’s the variability of manufacturing and assembly that makes it pickable, i.e. a susceptibility to failure. I think my hobbies and work no longer have any differentiation. Need to request Fred to add a ‘like’ button on such articles.